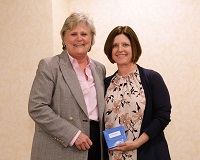 Outgoing SCAPTA Chapter President, Dr. Gretchen Seif, was recognized at a special ceremony for component leadership at APTA NEXT 2016 in Nashville, TN. Dr. Shelia Nicholson, APTA Board of Directors provided a brief summary of some of the wonderful achievements during her presidency. It is clear that Gretchen has left a mark on our thriving chapter and her vocal presence and bubbly leadership style will be missed. However, she will not be fading into the darkness, but will instead stay active on the Board of Directors as the Immediate Past President and continues to serve on several committees and task forces. Please join in a moment of sincere gratitude for the years and service and leadership to our chapter. Lifestyle Physical Therapy is seeking a highly motivated hands on Physical Therapist that desires to use their skills in a one on one treatment environment. We are a Physical Therapy Owned private practice looking for A Physical Therapist with 3 or more years of experienc to work in a direct access environment. We are a niche practice serving a small community south of Charlotte, North Carolina. A wide range of patients are seen inclusive of Neurological, Chronic pain, Orthopedic, pre and post surgical patients, runners, geriatric, and high school athletes. All inquiries, please contact Karen Shuler PT, DPT at lifestylept@bellsouth.net or 803-831-1454.